Occasionally it's time to pick some not so new stuff. So it is the case for today. 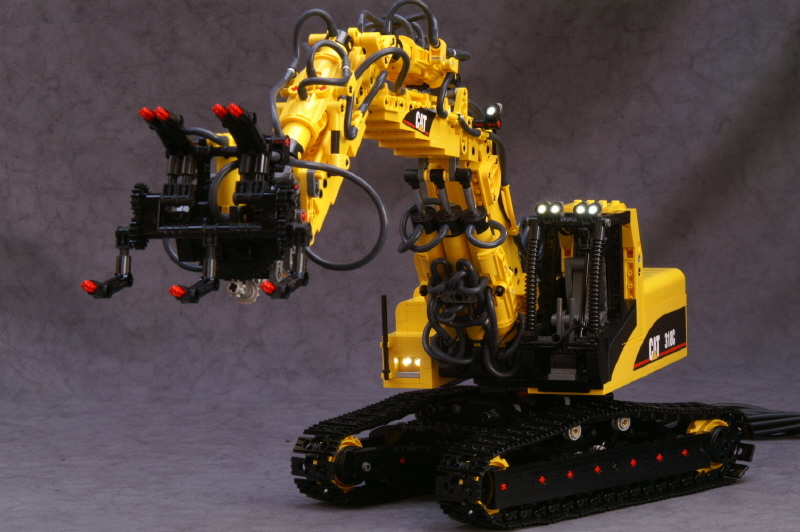 This is a motorized and pneumatic controlled grabber, built by 2LegoOrNot2Lego (Ingmar Spijkhoven) for is CAT 318C Excavator. It uses an old 9V micromotor to spin the turntable and pneumatics to open/close the grabber. You can find more pictures from this at Ingmar BS folder here, but also photo sequence building instructions here. LOL yes my very bad , must have pasted that when i thought i had the other in que. man Im getting senile in my old age ontop of blind and bald. nicely fluid motion; adds a lot to its realism.